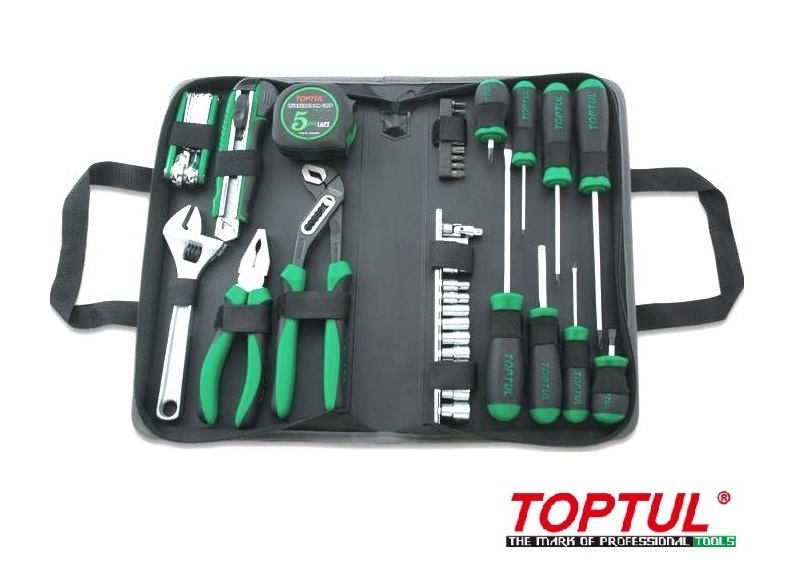 Toptul Professional 43pcs Tool Bag Set..
TOPTUL The Mark of Professional Tools is Taiwan’s leading manufacturer of 43PCS Tool Bag Set (GPN-043A). 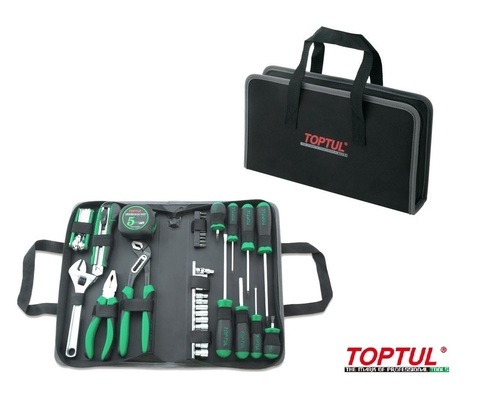 We believe 43PCS Tool Bag Set (GPN-043A) is the best option for you. 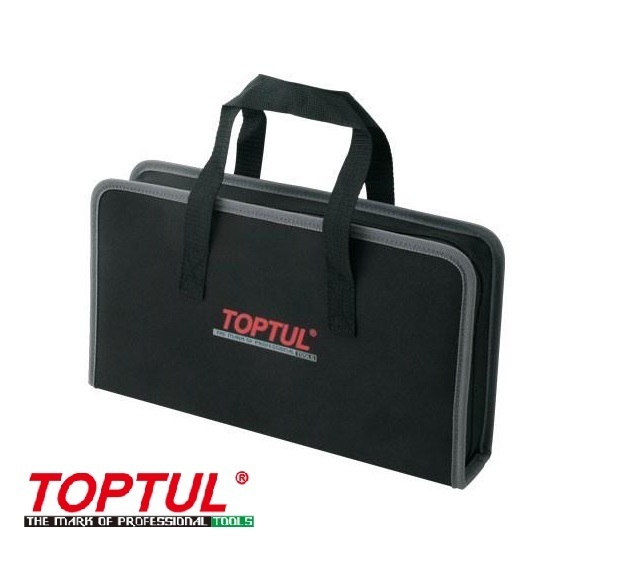 If you require smaller volumes of a wide range of 43PCS Tool Bag Set (GPN-043A) or immediate production needs, please contact TOPTUL The Mark of Professional Tools. 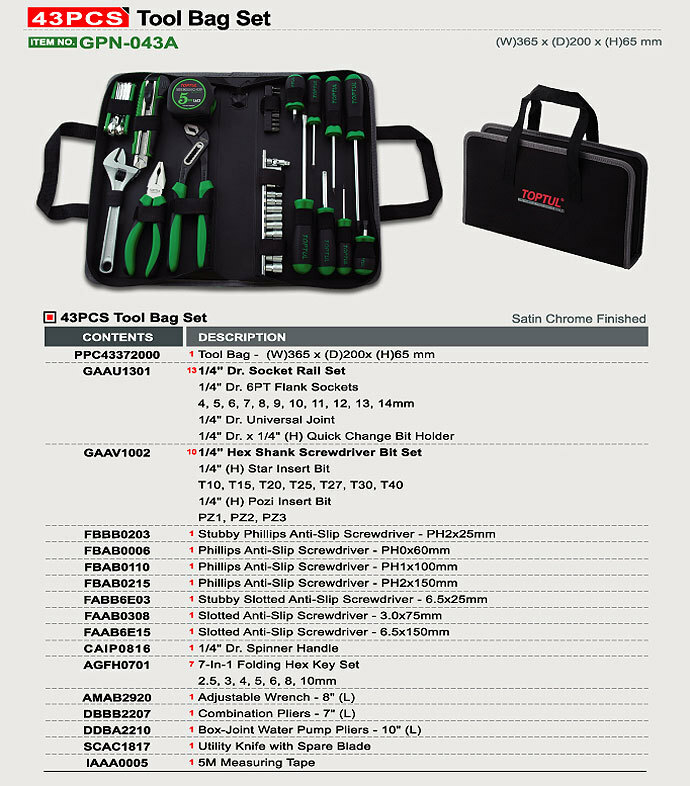 PRICE RM300.00..(Toptul the mark of professional tools)..